The picture you see above probably captured the exact moment where the spark was lit inside me that eventually lead to the existence of this website. 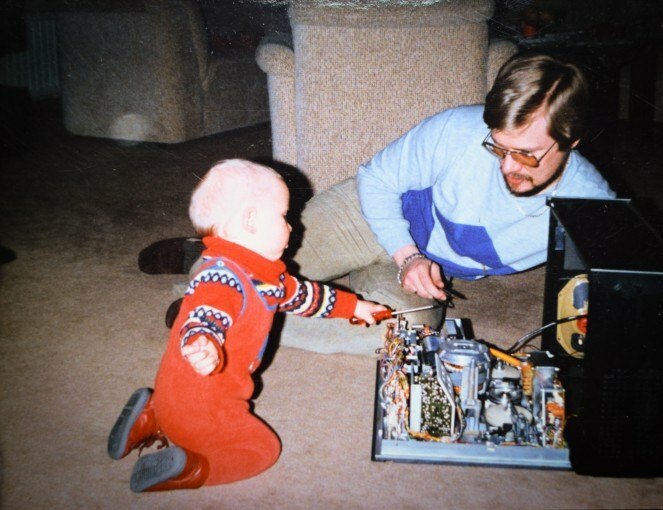 That’s me when I was not much older than The Science of Sound is today, helping my father fix a faulty Grundig tape machine (and probably making some adjustments to improve THD and frequency response while I’m at it). Since then I had an inner drive to tear audio equipment apart and figure out how it works and how it can be improved. At least I like to think about it like that. When I rediscovered this photo a couple of years ago in an old album, I was amazed by how much this photo reflects the deepest passion of the person that this little toddler was about to become. Of course, my mother couldn’t have anticipated that when she took this photo. The meaning of something like that only develops after the fact. If I had become a world class soccer player or a mediocre comic artist (I’m terrible at both), this photo wouldn’t have as much significance to me, although it’s still a funny one. Meanwhile, I’m working every week to make sure that the moment when I started The Science of Sound becomes significant in hindsight. And so far it worked out quite well. Until now we took a glimpse into spatial hearing, clarified some important digital audio basics, thought about how hearing and measuring complement each other, shed some light on the mysteries of analog summing, did some extensive experiments with phase responses and thought a little bit about why we do all this. So I hope you learned a lot along the way. I surely have. First of all: writing is hard! I knew that in theory when I started, but making the experience again every week makes quite a difference. But at the same time, it’s an incredible drive for my own growth not only as an engineer, but also as a writer. With every post I can get a little better at conveying my message in a compelling way, so I love to take on that challenge on a weekly basis. Of course, there’s still quite a way to go. As a perfectionist, I’m never 100% satisfied with my posts. But if I would continue working on them until I am, I would probably never publish anything. That’s why staying committed to posting every single week is so important to me. The same goes for the email list (that you should definitely subscribe to if you haven’t done so yet). Knowing that there is a growing community of curious readers that expect new food for thought every week gives me the strength and motivation I need to make this project a success. Which takes us to you, dear loyal reader. Thank you for making your way here each week! Thank you for reading, commenting and mailing, and for generally helping make this a great place to be. 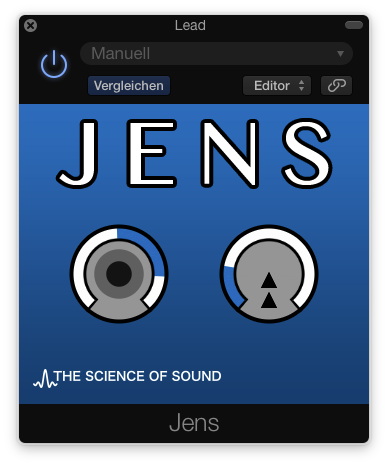 Your feedback and participation is an essential part of The Science of Sound. But if you’re anything like me, there’s surely one thing or another that bothers you here. Or probably there’s something that you’re missing. If that’s the case, I encourage you to get in touch and tell me about it. Post it in the comments, use the contact form or answer one of the newsletter mails. And if you like, do me a favor by spreading the word and sharing my articles as much as you feel comfortable with. Help me get this stuff in front of as many people as possible. Meanwhile, I’ll continue to create more hopefully share-worthy content. There’s some great stuff right around the corner and even better stuff on the horizon. And a lot of lovely work on my desk. We’ll get to know the inner workings of our hearing even better, dig deeper into the finest details of digital audio and tear more electronic circuit and instrument physics into pieces. And above all that, there’s also plans to do interviews (or rather conversations) with industry professionals in the future. So stay tuned, see you next week on The Science of Sound!